People often ask us what we do differently to other bands and in short, we bring the vibe. Vibe can’t be taught, it can’t be copied, it’s just natural when talented musicians are in sync and in the zone! We don’t just play songs, we perform to the fullest, giving you the most sensational party experience. We actually enjoy the performances as much as you and your guests! Jazz or Lounge for a drinks reception? Or something more high tempo? Take a look at our packages and let us know. We offer a range of services that can set the tone for your event. Create a sophisticated ambience to add a touch of class, or get your guests singing along to stripped down interpretations of some of their favourite songs. Live, upbeat music during the party section of your wedding reception. 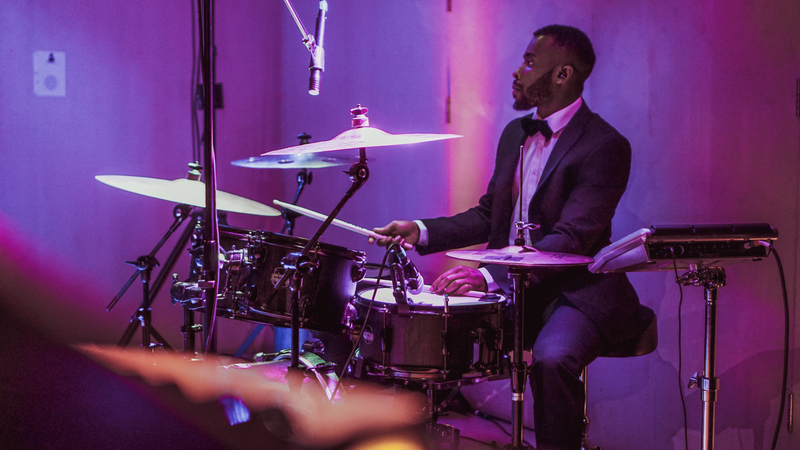 Gives you more time to party along to live music (your guests will thank you), with live performances of special request songs of your choice. Like what you see in our promo videos? This is the package to help you create just that. Add a cool saxophonist and 2 additional vocalists to hear some of the best party anthems we all know and love. We turn things up a notch or two to give you a dynamic party experience. On top of this, our DJ will maintain the momentum by providing the perfect music to keep your guests vibing during the breaks.